Welcome to Teaser Tuesdays hosted by Should Be Reading! Today I am giving you a peek into the sequel to Haven by Kristi Cook- Mirage! Together, we slid down in the seat, away from prying eyes. I heard him sigh, felt the muscles in his relax. "Was that for Tyler's benefit, or mine?" he asked, his voice a hoarse whisper. 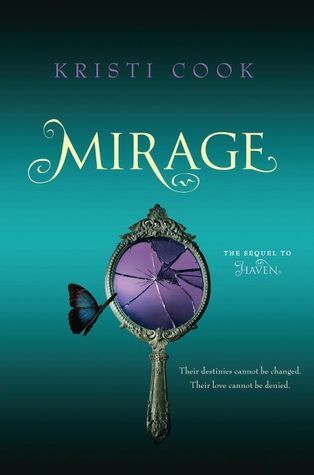 Mirage comes out on June 5th from Simon Pulse! Pre-order your copy today! I'm curious about this one...thanks for sharing. That's a nice teaser. The blurb is very intriguing. I like the simplicity of the book cover. great teaser! I've seen this book teasers at other blogs but I definitedly liked this one the best! Wow tempting!! I love it!